VERCELLOTTI MAURO (Testi a cura di). Storia Arte e Costume nell'industria tessile. Immagini della lavorazione del tessuto nei secoli, raccontate da quarantatre grandi Artisti italiani. Hans und Sophie Scholl. Eine Dokumentation zum 40jährigen Gedenken an die Weiße Rose. Copyright Bürogemeinschaft Rotis, Hans Neudecker Druck: Dietz Offizin, Lengmoos und Hansen Offizin, Rotis Vertrieb: Buchhandlung Kappler, Marktstraße 35, 7970 Leutkirch. New York: The Limited Editions Club, 1983. Leather Very Good in Very Good Slipcase/Signed Unpaginated, approx 150 pgs. Folio. No 380 of 1500. 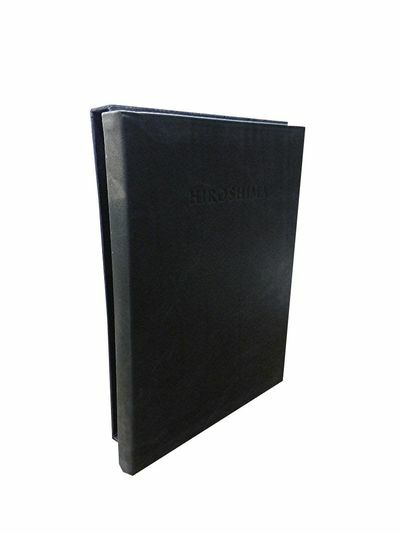 Black aniline leather in black slipcase, monthly newsletter and sheet for leather care laid in. Includes a new poem by Robert Penn Warren and 8 tissue-guarded silk screens by Jacob Lawrence throughout, signed by Hersey, Warren and Lawrence on limitation pg. Lt rubbed, spine lt sunned and sl soiled. Interior clean, binding strong. Slipcase faintly sunned to back panel, lt fraying to some edges, inner folded edge of cloth at opening starting to separate from inner panels. Missing glassine cover. [Shanghai]: [Shanghai Museum]. . First. First edition. Large oblong portfolio. Text in Chinese and English. Translated by Yang Liyi. Silk brocade box with two ivory fasteners. Contains the text in illustrated stitched wrappers: , 18pp. (Chinese); , 39, pp. 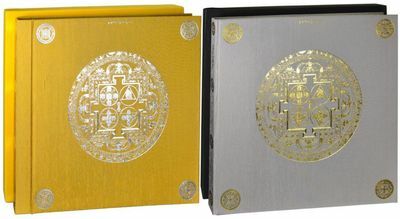 (English), and 150 color plates housed in three silk brocade slipcases. The box lid is a little bowed at both side edges, the corners are partially split, else very good, the internal stitched text and plates are near fine. A beautifully printed collection of plates, complete as issued in the original portfolio. .
Oeuvres plastiques. Tome 1 [1950-1952], Tome 2 [1953-1959], Tome 3 [1960-1961], Tome 4 [1962-1964] Tome 5 [1965-1966], Tome 6 [1967-1972]. [Newtown, Montgomeryshire, Wales]: Gwasg Gregynog [The Gregynog Press] Folio (26.9 cm, 10.5"). , vi, 70,  pp. ; 8 plts.. 1983 Fine press edition of this essay on the architecture and history of Caernarfon, Conwy, Harlech, and Beaumaris, opening with a foreword by Charles, Prince of Wales. Illustrated with eight delicately, precisely etched views by => David Woodford, printed by him on his own press in Snowdonia, the volume was designed and otherwise printed by Eric Gee at => Gregynog Press on Zerkall mould-made paper with deckle edges. The present example is numbered copy 96 of 165 printed — 150 bound as here, with an additional 15 copies specially bound. Provenance: Front pastedown with bookplate of Norman J. Sondheim, the American collector of press books. 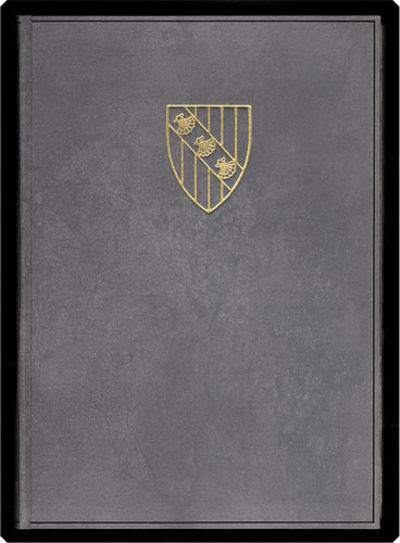 Publisher's grey marbled paper–covered sides, front cover with gilt-stamped coat of arms, spine with black-stamped title; spine a touch sunned with unobtrusive small scuff towards foot, sides very slightly sprung, slipcase lacking. Front pastedown with bookplate as above. Volume clean and unworn, beautiful and uncommon. Abstrakte Formen: Öl und Mischtechnik auf Karton. / Abstract forms: Oil and mixed technique on cardboard. London: Secker & Warburg. Fine in Fine dust jacket. 1983. Limited Edition; Signed by Author. Cloth. 0436187760 . A most attractive limited edition in fine condition in equally fine dust-wrapper, printed for the British and Commonwealth market in three versions totalling 250 copies. 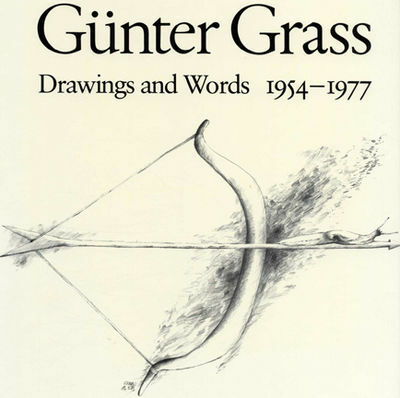 The first series numbered A1 to A50 contains one of each of two original etchings signed by GÃ¼nter Grass entitled Sign in the Sky and Fairytale. This book is from the second series, numbered B77 and contains the signed etching of Sign in the Sky, numbered 127; Grass believed writing and drawing to be of equal importance, that writing can be support by drawings and likewise drawings may be expanded by words. Translated by Michael Hamburger, edited by Anselm Dreher, text selection and afterword by Sigrid Mayer . Bayerische Ruck, 1983. Paperback. Used; Good. Paperback; English language; 8vo - over 7.75" - 9.75" tall; good condition; First Library Edition;Volume 11;Special Issue not sold in stores;LanguagesÃ¢Â€Â‹Ã¢Â€Â‹: German / English;. Your book will be securely packed and promptly dispatched from our UK warehouse. All international orders are sent Royal Mail airmail. Green Lantern Vol. 2 167, page 14 "Ring Against Ring!" DC Comics Inc, 1983. 16 x 10 inches. Fine. 16 x 10 inches. Comic Synopsis: Having acquired an Oan Power Ring, the irate Galius Zed turns against his comrade Hal Jordan and decides to show him what a true ring-bearer can now accomplish. Hal has little chance against a foe armed with such a superior weapon, but Galius Zed quickly learns that the ring taxes his own life energies, draining him of power and vitality. A withering Zed collapses before Hal Jordan. Hal calls to mind how this whole business got started. It began with Green Lanterns Eddore and Kaylark. Both of them had come into conflict with a trio of space pirates called the Free Lancers. The Free Lancers showed them how their masters, the Guardians of the Universe had crafted a ring that was not inhibited by materials colored yellow. This enraged Eddore and Kaylark, and drove them to renounces the Guardians. Kaylark came into possession of her own Oan ring and returned to her home planet D'xe where she crowned herself Empress. Eddore acquired an Oan Power Ring as well and returned to his native world of Tront. With the power of the ring, he forced hundreds of Trontians to fuse their essences with his own, creating an over-sized being of great power. Hal Jordan came to Tront and fought against the Eddore/Trontian entity. Channeling all of his ring's energy into the being, he overloaded it with power, causing it to collapse to the ground. "Green Lantern Vol 2 167." DC Database. N.p., n.d. Web. 22 Apr. 2015. 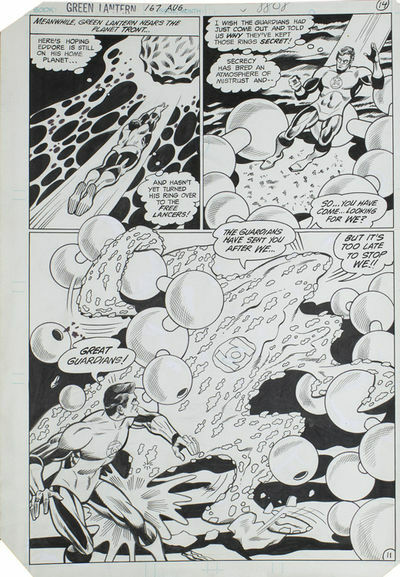 Page Synopsis: Hal Jordan is in search for Eddore on his home planet. Upon arrival, he has discovered that Eddore has merged himself with all the inhabitants on the planet and formed a colossal beast. New York: Limited Editions Club, 1983. Limited ed. Hardcover. Near Fine/Slipcase. LEC. 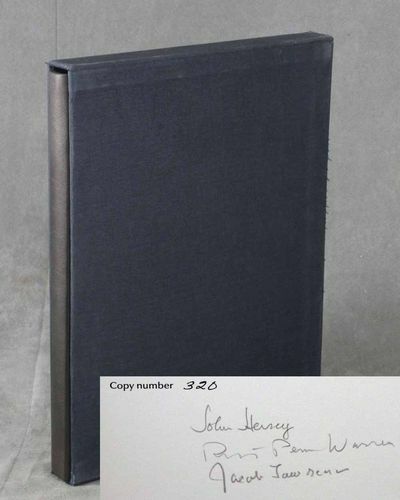 Number 320 of 1500 copies signed by all 3 contributors: the author, Hersey, the illustrator, Lawrence, and Robert Penn Warren who wrote a new poem for this edition. Hardcover, full black leather. Near Fine in Near Fine slipcase. Spine leather sunned just a touch, otherwise a sharp, Fine copy. The slipcase with minor sratching and signs of shelwear. A stunning Shiff era LEC -- one of the few signed by all of the contributors. Monthly letter laid-in. Oxford (Shuiniu Chubanshe), 1983 Excellent encyclopedic dictionary. Hardcover with dust jacket. Mandarin Chinese. Traditional characters. Punctuated. Initials embossed on fly leaf. Very rare. Planetary Architecture Two. Introduction by Kenneth Frampton. Interview with Zaha Hadid by Alvin Boyarsky. [Rückentitel zusätzlich: Folio II]. Tunstede, 1983, Hardcover, Book Condition: Very Good in Very Good dustjacket; 10.5 x 13.75 Hardback in dustjacket in Very Good condition. Dustjacket shows wear and is creased in the back now protected by mylar.. 200 color plates and 350 black and white illustrations of coverlets, 200 duotones of weavers and homesites, 400 pattern drafts. Massive study of 18th and 19th century textiles in Tennessee. ; 7.5; 494 pp. Bantam, 1983. First Edition. Paperback. First printing with full number line. 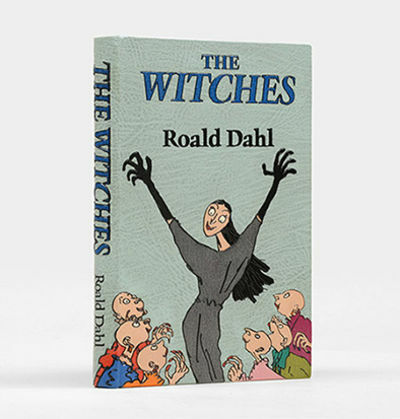 This is the true first edition, originally released only in paperback format, until the 2005 Taschen reissue. Inscribed, signed and dated by Hunter Thompson on first page. Inscribed and signed with a gold pen, a couple small smudges to signature (most likely happened while book was being signed). Signature dated as follows: "Owl Farm - Sept 30, 88". Owl Farm was Hunter Thompson's home in Woody Creek, Colorado. White wrappers are bright. Slight edge wear, small bump to upper corner. Some light spotting to top page edges. Interior is clean and unmarked. Steadman's illustrations remain vivid. Binding strong, spine uncreased. Light cover wear. 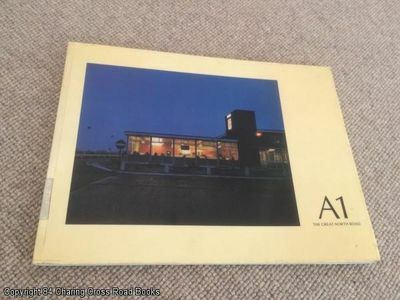 Overall a nice and bright copy, in near fine condition. Stored in protective sleeve. Additional photos available upon request. 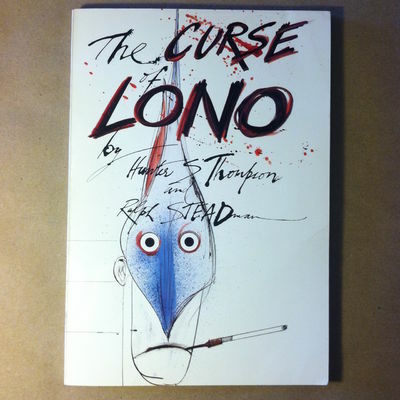 The Curse of Lono is Thompson's fifth book and fourth collaboration with Ralph Steadman. Arguably the rarest title to find signed by Hunter Thompson. Agni. The vedic ritual of the fire altar. In collaboration with C.V. Somayajipad and M. Itti Ravi Nambudiri. Photographs by Adelaide de Menil. 2 volumes in cassettes. Sun & Moon Press, 1983. 1st Ed. Hardcover. Near-Fine/Near Fine. Signed. 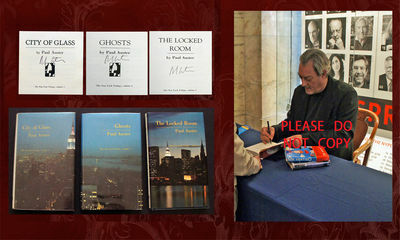 ALL 3 NY TRILOGY VOLUMES SIGNED BY PAUL AUSTER. Includes PHOTOS from event. Ghosts and Locked Room are true first printings with full numberline; City of Glass is a 2nd printing. Ghosts and Locked Room appear as new and unread; City of Glass has mild wear, grades VG+. Expedited and international shipping are welcome. San Diego: Harcourt Brace Jovanovich. Near Fine in Very Good dust jacket. 1983. 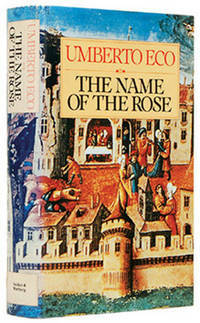 First US Edition; First Printing; Signed by Author. 1/4 Cloth. 0151446474 . An attractive first American edition/first printing in about Near Fine condition, light foxing to page edges, else Fine. Very Good+, pictorial dust-jacket, a few minor closed tears and chips to spine ends. 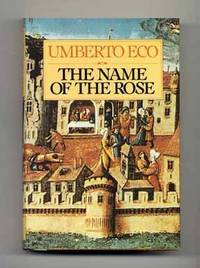 Signed by author Umberto Eco on the title page. Contursi A021d; Eco's mystery set in a monastic library. In 1327, a time of tension between the Pope and the Holy Roman Empire, English Brother William of Baskerville is sent to investigate heresy among the monks at an Italian abbey. His task is overshadowed by a series of bizarre murders. This is a tale of books, librarians, patrons, censorship and the search for the truth. Translated by William Weaver. Eco's first novel and basis for the 1986 film starring Sean Connery and Christian Slater. The Italian edition was winner of the Premio Strega, Prix Medicis Etranger and Premio Anghiari awards . Vollständige Konkordanz zum griechischen Neuen Testament unter Zugrundelegung aller modernen kritischen Textausgaben und des Textes Receptus. 2 in 3 Bänden. San Francisco: Arion Press, 1983. Hammett, Dashiell. THE MALTESE FALCON. San Francisco: Arion Press, 1983. Illustrated with 46 period photographs of sites in the novel, with a preface by the publisher, including an appreciation by private investigator David Fechheimer, and an appendix with notes on the photographs by Glenn Todd. 10 by 8 inches, 304 numbered pages, 44 pages and a 4-page fold-out, unnumbered, for illustrations. Composed in Monotype Bodoni semi-bold and handset Corvinus medium, with spade ornaments, printed by letterpress on Byron Weston Linen Record. Photographs printed by offset lithography on dull-coated stock. 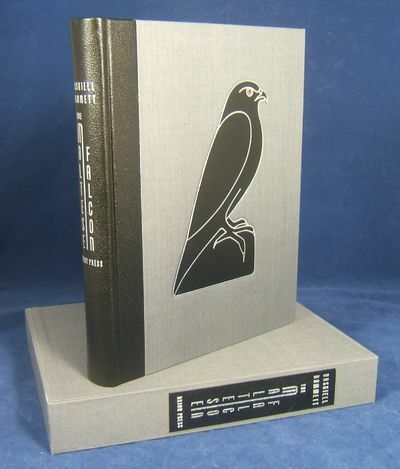 Bound with a bonded black leather spine and a foil-stamped "Maltese Falcon" inset on gray cloth covers, housed in a matching gray cloth slipcase. 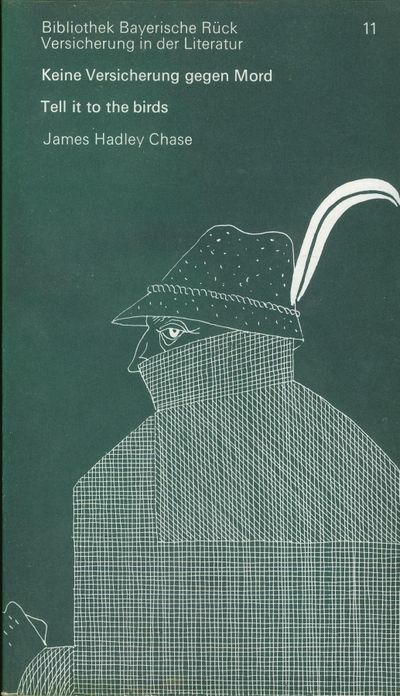 One of an edition of 400 copies, long out of print. One of the most popular Arion publications. Fine copy, fine slipcase.. First Edition, Thus. Hard Cover. Fine. Brothers; Matt Dillon; Notebook; Lifeguards; Clammers; Hall of Fame; Jeff; On Leave in Waikiki. Los Angeles: Twelvetrees Press,, 1983. Folio. Original dark blue cloth with the initials BW blocked in blind on the front board. With the dust jacket. 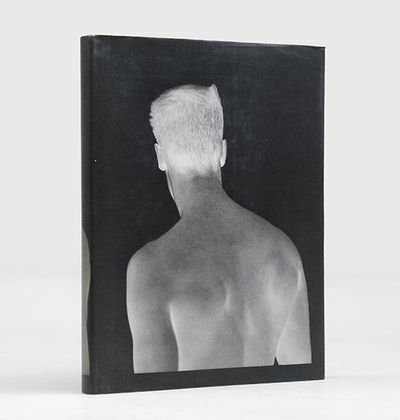 Illustrated throughout with monochrome photographs. A fine copy in the faintly toned jacket. First edition, first printing. Limited to 5000 copies. London: Secker and Warburg,, 1983. Translated from the Italian by William Weaver. Octavo. Original light brown boards with natural linen spine, decoration to front cover and titles to spine in bronze. With the dust jacket. Light rubbing to foot of spine, dust jacket lightly faded to spine. First UK edition, first impression. Eco's first novel. Rätoromanische Chrestomathie. Reprint der Originalausgaben 1888-1912. 14 Bde. u. 1 Registerbd in 16 Bdn. (compl.). [NGOR MANDALAS]. bSod nams rgya mtsho, Chosha Sonamu Gyattso, Henshu Tachikawa Musashi, Marukomu Gurin, Malcolm P. L. Green et al., Eds. Tokyo: Kodansha, 1983. First Edition. Hardcover. Near Fine. Two volumes in elephant folio, 51 x 51 cm. Vol. I (plates) 300 pp; vol. II (apparatus criticus) 340 pp. Text in romanized Sanskrit, Japanese, Tibetan, and English. Vol. I bound in gold silk shantung, embossed in silver; vol. II bound in grey silk shantung, embossed in gold. Each volume contained in a matching cloth slipcase. Some minor wear to slipcases; head fore-corners of first two leaves of plate volume dog-eared, otherwise an excellent set. A fine copy of the most sumptuous reproduction of the important and celebrated Ngor Collection, a series of 139 mandala thangkas illustrating the tantric practices as described in the Rgyud sde kun btus (Compendium of Tantras), by Jamyang Loter Wangpo. The names of the artists, 19th-century Tibetans from the Dzongsar monastery in Eastern Tibet who were commissioned by the Ngor sect of the Sa-skya school, are not recorded, but they were obviously of the highest caliber, both as draftsmen and colorists, using only the finest and purest pigments available from Nepal, China, India, and elsewhere. Rinpoche (Wylie: bSod nams rgya mtsho), the principal editor of our book, rescued the original scrolls from the Ngor Ewam Chöden Monastery, where he was reincarnate khenpo of the Thartse Sub-Monastery, shortly before the 1959 Chinese invasion of Tibet that destroyed it and 6000 other monasteries. Rinpoche, along with the mandalas and the xylographic texts of the Compendium of Tantras, made his way safely to Japan, where he was freshly nominated by his host country as Hiroshi Sonami. 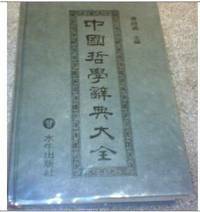 There he worked at Japan's largest institution for Asian studies, the T y Bunko in Tokyo, where, through the intercession of the curator of the Royal Library of Bhutan, Yoshiro Imaeda, Rinpoche ultimately met with the publisher at the Kodansha press, who, in 1983, produced this imposing two-volume set, which is today the most precise, faithful, and beautiful representation of what is the only surviving complete set of mandala thangkas of the visual aspects of this core text. The plates in the first volume, printed in five-color offset, are matched in brilliance only by the scholarship devoted to them in the second. The present work was printed in an edition of only 300 copies. NB: Our edition is not to be confused with the inferior Korean and Chinese translations were published in 1988 and 1990 respectively. The Center for East Asian Cultural Studies published a trade edition of the plates in 1989 (in black and white only) and the text in 1991. NB: these volumes weigh almost 30 lbs each; altogether the gross shipping weight may be ca. 70 lbs. Additional shipping costs will apply. Please inquire. London: Jonathan Cape,, 1983. Illustrations by Quentin Blake. Octavo. Finely bound by the Chelsea Bindery in pale blue morocco, titles to spine and front board onlaid in bright blue and blocked in black, pictorial onlay wrapped around front and back board copied from the dust jacket, twin rule to turn-ins in black, plain black endpapers, gilt edges. With black and white illustrations. A fine copy. First edition, first impression. A wonderful example of the Chelsea Bindery's work. New York: Self-published, 1983. Paperback binding with minimal shelfwear, including a minor crease to the spine. Signed by Larry Clark on the title page with no further inscription. The text is clean and unmarked. Illustrated. First edition.. Signed. First Edition. Paperback. Very good+ condition. Quarto (4to). Zurlaubiana - Sammlung Zurlauben. Regesten und Register zu den Acta Helvetica, Gallica, Germanica, Hispanica, Sabaudica etc. necnon genealogica stemmatis Zur-Laubiani. Serien 1 -17. Je Serie (4 Bde. u. 1 Registerband). 1- 17 Bd. 1-143, insg. 68 Textbde. u. 17 Registerbde). Bearbeitet von Urs Amacher, Kurt-Werner Maier, Josef Schenker, Rainer Stöckli. Grey Editions, 1983. First Edition. Softcover. Good Condition. ~~Lightly used Withdrawn ex-library copy, usual stamps and protective plastic cover~~Good+ 1st edition 1983 Grey Editions paperback, landscape format, superbly photographed and valuable resource. Reserve stock - Lightly used ex-library condition, label to base of library spine and stamp to copyright page, empty log-sheet to rear end-paper and label inside rear cover, tape mark along inside front and rear hinges, markings to top rear cover else good and unmarked, in tight binding, Sent Airmail at no extra cost; Worldwide Shipping IMMEDIATE 1ST CLASS/AIRMAIL DISPATCH Quantity Available: 1. Shipped Weight: Under 1 kilogram. Category: Photography; ISBN: 0950870307. ISBN/EAN: 9780950870304. Pictures of this item not already displayed here available upon request. Inventory No: 059488..
Der Zauberflöte zweiter Teil. Fragment. Mit zehn Bildern von Roswitha Quadflieg.